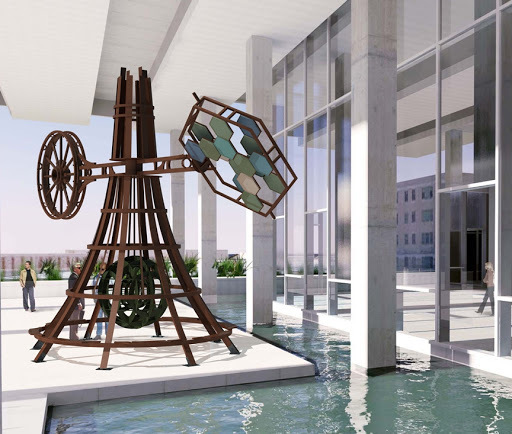 With the help of a Creative Projects grant from OVAC, Oklahoma City artist Paul Bagley plans to work with a California artist collective, the Flaming Lotus Girls, to complete a new sculpture titled Tympani Lambada. 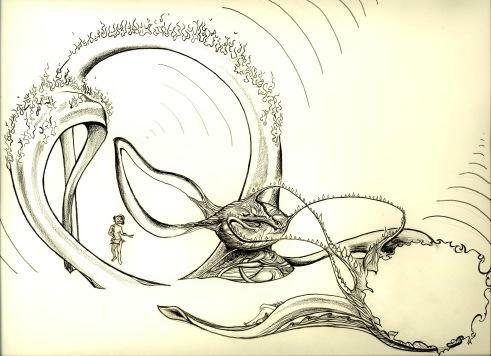 Bagley describes the piece as a magnified sculpture of the tympanic cavity, a sculptural embodiment of the structures by which we hear and balance, combining fire, vibration and sound to create an experience rich with visceral sensuality. The bone and membrane of the inner ear’s vestibular system is transformed into steel and fire. Flame effects, LEDs and sound effects mirror the function – circular, sensory experience: smell, hear, and touch. The group plans to reveal the piece at the 2011 Burning Man festival in Nevada. Bagley has a BFA from the University of Oklahoma. He has worked as an artist, activist, and teacher in Oklahoma and throughout the U.S. for over 20 years. With the help of an OVAC Creative Project Grant, Narciso Arguelles will install a mural project at Brass Bell Studio in Oklahoma City in November 2011. The grant will help Arguelles obtain supplies including wood, canvas, and paint. 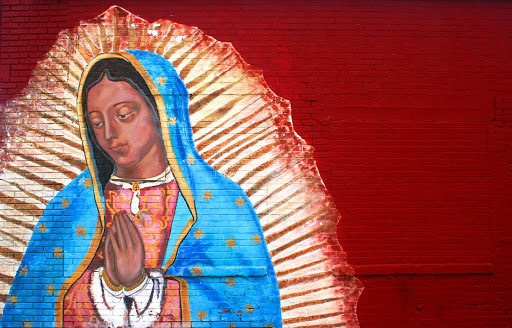 Arguelles, a Chicano artist who lives and works in central Oklahoma, offered background for the project in his grant proposal: “There is a large tradition of mural painters both in Mexican history and Chicano history. Mexican mural painters like Rivera and Orozco and Chicano painters like Victor Ochoa are familiar to people. There is also a tradition of clandestine Chicano street artists who paint with a spray cans. The concept of the project currently includes several panels of wood and or canvas, paper, vellum, and cardboard (really any surface). Media will include drawing, painting, photography, and sculpture. Subject matter will include similar historical subject matter that Ochoa and Orozco pursued: celebration or culture, protesting social injustice, and exploring identity.” Arguelles also hopes to build a camera to explore historic photography techniques as part of the project. Arguelles grew up in Tijuana, Mexico, and San Ysidro, California. He earned BFA and MFA degrees in California before relocating to Oklahoma. He has taught art at several universities in the Oklahoma City area. His work was included in OVAC’s “24 Works on Paper” traveling exhibition in 2009. In 2010, his work was shown in a solo exhibit, “Chicano-Retrospect” at the UCO Art Gallery. In anticipation of the upcoming Photo Slam event, I had the opportunity to do a question and answer session with chosen Photo Slam artist attendee, J.T. Burg. I particularly found Burg’s biography interesting as he is a prime example that even though a passion for creativity may go on hiatus due to life’s uncertain circumstances (Burg’s camera was stolen and as a result he discontinued his practice in photography until later on) it never really disappears if given the chance to resurface. I had the privilege of communicating with Burg via email and ask him some questions about his artistic process. Below is the question and answer session from that conversation. J.T. Burg: I think one of the reasons I’ve gone back to film from digital is the value of each shot. There is a fixed number of shots in film, so each time I frame up, I’m more conscious of what I choose to shoot and how I shoot it. With digital, it almost felt like I was stealing the moments, just clicking away, not even thinking about each shot. Film taught me to slow down, and notice the moment. Feel the moment. Live in the moment. When I get my pictures back, I remember every moment of the shoot. The musty smell of a museum, the chatter of people in a park, even the cars whooshing by downtown. Lesley Montgomery: What do you primarily enjoy shooting when you set out to take photographs? J.T. Burg: I’d like to think that my strong point is landscape, but no one certain subject comes to mind when I go out and shoot. I enjoy living in the moment when I take my camera. With a little bit of skill, I can be in the right place at the right time. I want people to see the world how I see it. Tilt your head and notice how the lines of the building line up. Look at the glow on the fine hairs of a plant. Life is amazing if you notice more than just yours. Lesley Montgomery: How do you think photography is able to convey an artistic vision that other artistic mediums may not be able to do in the same way? J.T. Burg: Other mediums of art seem to convey a feeling, mood, all how the artist interpreted the moment. Photography is very fickle, capturing moments how they happen with light. Now is a moment, now is a moment, there just went another one. How was each one different from the last? Photography captures each one with one frame, through the film’s grain texture and the camera’s lens, how the moment actually happened. Lesley Montgomery: How do you think photography can still be viable considering our society is so visually saturated? J.T. Burg: Our society is visually saturated but with unreal, airbrushed, simulated images. Those unrealistic images are again, an interpretation of what we think it should look like. Our natural instinct is to want the real, true visuals. A photograph captures a moment, again, how it actually happened with the mood, lighting and memory in tact. J.T. Burg, along with many other very talented photographers, will be a featured artist at OVAC’s Photo Slam event occurring at the Noble Theater at the Oklahoma City Museum of Art tonight at 7 pm. Each artist will get five minutes to share their individual artistic process. Show up and support your local artists for what is sure to be an interesting and entertaining event. For more information, please call The Oklahoma City Museum of Art at 405-236-3100. The museum is located at 415 Couch Dr.
Mr. Brown gave an introduction to the new health care reform bill and how it will affect artists specifically. He also discussed some of the current health care options for artists in Oklahoma. Here are some resources provided during the workshop, along with a recording of the first half of the presentation, explaining the health care reform. Every Artist Insured: Understanding Health Care Reform – an easy to understand booklet explaining how the health care reform will impact artists. Oklahoma Health Care Options Matrix – matrix offering information about free and low-cost health care coverage. Health Insurance Info – consumer guide to getting and keeping health insurance in Oklahoma. The recent passage of the Affordable Care Act will do more for the health and well-being of the performing arts and entertainment communities than any other piece of legislation in more than fifty years. Unlike the vast majority of Americans, who receive their health insurance from employers or government programs, most artists are forced to find coverage for themselves and their families in the individual or direct-pay market. In most states they can be denied coverage because of pre-existing conditions, and when it is accessible, it is often either unaffordable or so stripped of benefits as to be minimally useful. For this reason, artists, like other self-employed workers, are twice as likely to be uninsured as members of the general population. This legislation, which everyone who supports the arts should be supporting as well, directly addresses this imbalance. Private insurers will no longer be permitted to deny people coverage or cancel their policies based on their claims history. An essential health benefits package will be available to everyone, with costs shared in order to promote affordability. Variations in premiums based on age will be limited to 3 to 1. State-based exchanges will be created to bring the cost-savings of group insurance to individuals and families. Those of low to moderate means will receive credits and/or subsidies, mentioned above, to keep their premiums to an affordable percentage of their incomes. Out-of-pocket expenses in any year will be capped at approximately $6,000 for individuals and $12,000 for families, and there will be no annual or lifetime limits on coverage. Since its passage on March 23, the law has already made subsidies available to small businesses to help insure their employees, created special insurance programs for the previously uninsurable, guaranteed coverage to children with pre-existing conditions, and lowered the cost of prescription drugs for Medicare recipients with high drug costs. Since its creation in 1998, the Artists Health Insurance Resource Center (AHIRC) of The Actors Fund has had one goal: to have every artist in this country insured. With the recent reforms, that goal can now be realized. Toward that end, the Actors Fund initiated its EVERY ARTIST INSURED tour, with funding from Leveraging Investments in Creativity (LINC) and the National Endowment for the Arts. It began in Stamford, CT on September 27 and has gone to Kansas City, Minneapolis, Miami, Philadelphia, Las Vegas, Nashville, San Francisco, Seattle and other cities. The full schedule of seminars, as well as downloadable health care guides to almost twenty cities and regions, can be found on the AHIRC website at www.ahirc.org. The tour will be coming to Oklahoma City on May 7th as part of the Oklahoma Visual Arts Coalition’s Artist Survival Kit program. The workshop is free to attend and will be held from 2-4 pm at the Individual Artists of Oklahoma gallery, 706 W. Sheridan Ave. in downtown Oklahoma City. Jim Brown, Director of Health Services at The Actors Fund, will explain how health care reform offers new and affordable options for coverage, particularly for those who must purchase their own insurance. In addition, Jim will present current options for getting and keeping health insurance and finding affordable health care in Oklahoma. To register, visit www.ArtistSurvivalKit.org or call 405-879-2400. Jim Brown has worked in the performing arts, in social services, and in the insurance industry. He taught in the Drama Department at New York University’s Tisch School of the Arts for thirteen years; was a public information officer for disaster relief in the United States and overseas for the American Red Cross; negotiated provider contracts for Aetna Health Plans, Beech Street Corporation, and Empire Blue Cross Blue Shield, and served as a managed care regulator for the New Jersey Department of Banking and Insurance. He is currently the Director of Health Services at The Actors Fund where he oversees the Al Hirschfeld Free Health Clinic and runs the Artists Health Insurance Resource Center website (www.ahirc.org). Recently I had the opportunity to interview author and art consultant Katherine T. Carter regarding her most recent book, Accelerating the Curves: An Artist’s Roadmap to Success. This book offers the reader an extensive compilation of resources yet manages to be relevant for artists at different career stages. Throughout the text, Carter offers guidance on tailoring individual career paths based on countless variables/career objectives and goals. Below are some questions and answers from our conversation. Sarah Hearn: Your book is a large text addressing wide range of topics- including things such as: budgeting, targeting an audience, scheduling exhibitions, writing artists statements, juggling administrative details, drafting formal letters and achieving general professionalism. Yet I wonder if there was one thing you could distill as the most important take away for artists at all levels in their development, what would it be? Katherine Carter: Constantly develop your inner muscle, stand on your own truth, and be brutally honest with yourself at all times—meaning assume responsibility for your choices. Commitment means refining your abilities because you never stop trying, and chances are you probably won’t ever give up if you always do these three things because the entire process will have so much meaning for you. SH: In this text, you approach accessing the art world through a three-step plan. This plan is very rational–start local, next go regional, and last national; yet many artists would never think to apply the now popular environmentalist mantra “think global, act local” specifically to an individual art career. Can you discuss how you came to realize this would be an effective plan? As we look to the future, do you see this model changing, or staying the course? KC: It’s simple and straightforward–“you have to crawl before you walk and walk before you run.” Without experience, name recognition, contacts and sales, you probably won’t make it to the majors—talent is not enough. Past, present and future—it’s the same. You must prepare for your success, cultivate daily the qualities of success, and live your life with balance and purpose for successful outcomes. SH: You mentioned early in the text that you are an artist yourself. Could you talk about your personal art practice in relation to the other primary activities you do such as consulting, writing, lecturing, etc? Do you still find time to make your own work, or is your creative drive satisfied with your other outlets? KC: I was in a serious auto accident in the mid-80s and lost the use of my arms—I was incapacitated for almost three years. So I said to myself, “What can I do that would help other artists with the knowledge and success I have already had in my brief 10 year career in NY?” I don’t paint anymore—I haven’t since I started the company. Although I’m fine now (completely recovered), my creativity manifests itself in the work I do daily on behalf of the company, my Associates, and most importantly, my artist clients. It takes reams of creativity! I wish there were more hours in the day or better yet more days in the week as I’m 61 now and no end is in sight! SH: Your book includes a multifaceted collection of essays by many of your colleagues and a variety of art world professionals. These were great to read and often funny- I am especially fond of the essay by Richard Vine citing the art patron as “more rare a breed than an albino unicorn.” With so many voices included, conflicting opinions and suggestions for artists emerge. Such pluralism seems to allude to confusion of navigating the art world itself. Was this intentional? As an author, what compelled you to include the essays in the same book and not publish them separately, say in the fashion of Art on Paper’s Letters to Young Artists? KC: Every artist must find the voice that speaks to them—ideas that resonate personally. It’s not my way or the highway, and I do not always agree with my Associates, as I am sure they would tell you. We’re different, thank goodness. I’m a “nuts and bolts” and “whatever gets the job done” kinda gal. I’m trying to make a very difficult business more accessible to artists—that’s my primary concern. I wanted to give my readers a variety of other viewpoints and opinions, and let them decide what they feel is valid or suits their professional needs. There is no “one way” that works. I have worked with some of my Associates 15-20 years, and together we’ve developed effective templates for professional advancement; we operate as a team (where my company is concerned)–and no one does my bidding unless it is amenable to their nature. All I impose is the structure and procedures. We compliment and balance each other in an unusual way and I believe the result is beneficial to all parties involved. SH: Can you recall and describe a specific work of art that you have viewed in your lifetime that deeply altered your personal experience or changed the course of your life? If so, how and why? KC: Nothing outside of yourself changes the course of your life—you change outcomes in your life. No one escapes disappointments, betrayal, heartbreak of pain—it’s how you use those experiences to inform your life that makes the difference. I’ve seen so much art in my lifetime, really amazing and moving, but I can’t recall standing in front of a work of art and weeping. I often hear myself say, “My God, that is really good…” Rarely do I say, “My God, that is great.” I do say that easily when I am standing on a beach, looking out to sea at sunset with my Standard poodle, Hugo, at my side.